I. The site clock. You may have noticed that it's a ticking clock now - i.e., it is live and shows live time without having to refresh the page. I recently changed this back to am/pm as I agree, it is easier to decipher. III. Herbivores and non aging. 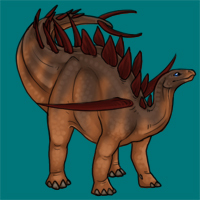 I believe people with huge amounts of herbivores are not getting cron work for them properly, so I'm going to sit down and rewrite the herbivore aging/etc crons so they are more effecient and hopefully don't time out. VI. I am also working on bugs, and hoping to hammer in a few of the suggestions that are on the boards. A troodon showing common raccoon markings. 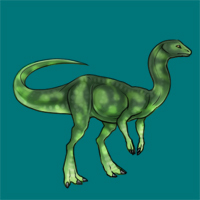 A linheraptor showing common blanket markings. A dilophosaurus showing heavy siamese markings. 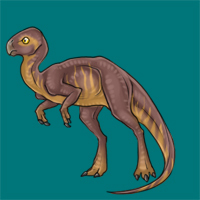 A neuquenraptor showing heavy tiger markings. A buitreraptor showing common leopard markings. * Herbivores are bought in herds only. You do not buy single herbivores from the lab - but a whole herd at a time. 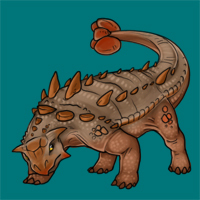 * The lab updates every 15 minutes with 6 new herbivore herds that are available for purchase. Once the 6 are bought, you must wait until 15 minutes passes so 6 new ones can appear. * Herbivores are sold via auctions. You can auction your herd from their enclosure page and take a look at herbivores for auction from the marketplace (formerly bartering). * Herbivores have grades. These grades are raised very slowly through extra care. * Most herbivore meat at grade D will have no real stat bonus. * Herbivores will only die of old age, if you cull them for meat, or if you don't give them a trough of water for 7 days or more. * Herbivores can and will feed themselves, but if you want to feed them extra grain (which is pricey), then you can. * Herbivores are expensive to raise and keep and should be considered carefully before being bought. * Herbivores breed automatically and are guaranteed to breed if there is space (and at least 1 male and 1 female) every month between the 20th and the 24th. * You can fertilize your herbivore enclosure with carnivore poop or buy expensive fertilizer. Fertilizing the foliage in the enclosure is optional and your herbivores will survive even if you don't. You should now be able to purchase herbivores, and herbivore enclosures, from the lab page. Hunting is not yet into effect at the time being BUT I would recommend researching the herbivores before you get going. 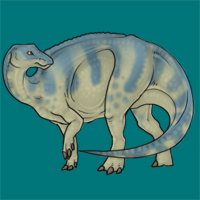 Massive herbivores may require enormous packs relative to size in order to take down when hunting is released so it might be pointless raising Brachiosaurus if you keep Compys. :P I'll also try to get some more factfiles up soon. 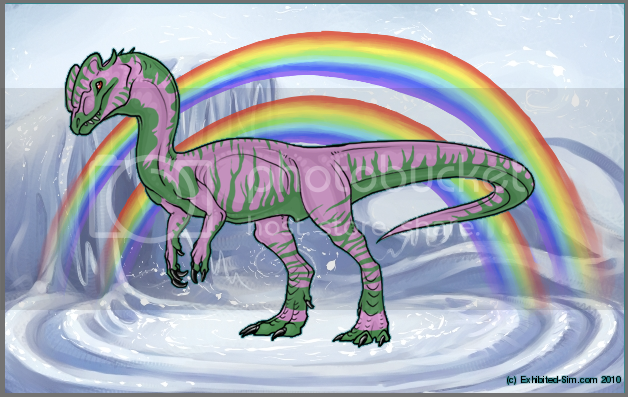 And speaking of backgrounds - any new ones you purchase will automatically have ten uses. This was suggested by Herbal and will let you try out a background on a couple of different species to see which you like it on best. 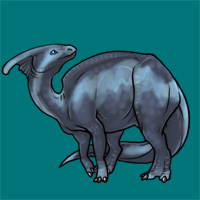 Herbivores are relatively easy to keep and after purchasing them, if you don't want to increase their grade you can basically just leave them be, except for refilling a few water troughs once a day (on login). They will feed themselves from the foilage in the enclosure (which you can fertilize with raptor poo to give it extra benefits ;D) but you can feed them extra grain as well if you want to give them a shot of additional nutrients. Expect them to come soon. :) I'm waiting on some item art for the herbivore meat and I also need to complete the live auction system, but once those are done I'll release them straight away to you guys, so you can start rearing huge herds ready for your dinos to hunt! We had a slight problem with logins this morning which meant a few couldn't get online for a couple of hours - this has since been fixed. It was a server issue which is good to go now. The winter contests have finally come to an end! Thanks to everyone who participated - you should all have your relevant trophies now! Kaneon (#607) with this entry! Daski (#1155) with this entry! Zha'krisstol (#2373) with this entry! Everyone's entries were so good - I'm impressed with all the great artists we have here at Exhibited! Unwritten Tale (#3511) with their entry: Intelligence. Paya (#2473) with their entry: Untitled. Owl (#4363) with their entry: Untitled. You can view the winning stories on the boards. The same goes for the written entries, also! And the Mystery Egg has been removed, and slowly filtered into the game with an exceedingly rare chance. How do you get the Mystery Egg now? Will anybody ever know? Also, yesterday I made some progress with herbivores. There's still a long way to go because it's such a detailed feature, but I'm thinking that perhaps once I've finished care and breeding I'll release them, and then add in the actual hunting of them afterwards. What do you think? I had such a nice one I forgot to put the christmas plushie in the store! So it's going to be here right up until Wednesday 29th December so everyone can pick it up before they miss out until next year. That's right. ;D Snow is falling every 15 minutes on player's farms (if they have logged in today!) and you can harvest these snow pieces to roll together to make snowballs! We're having a snowball fight here on Exhibited, so get making them snowballs! 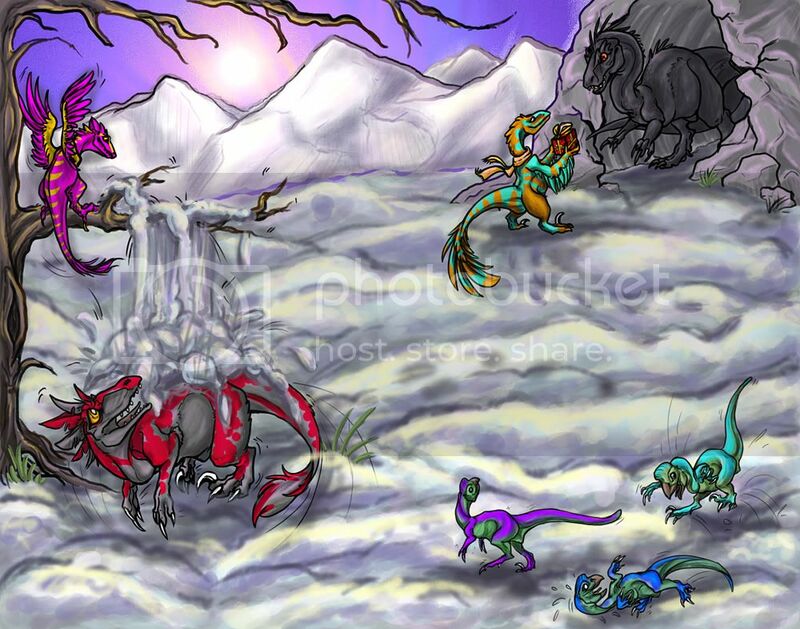 There is also a winter art and winter writing competition going on where the winner will be able to win 40 scales and a mystery egg! Read more here. Have fun everyone! - I've upped food restock amounts (except rares). - I've made it so it's a 1 in 8 chance of getting an item from the cave as opposed to guaranteed. - I've removed the t rex potion from the slots machine and am retiring it for a while.